Red lentils are easy and fast to cook. They are reddish in colour but turn yellowish once cooked. They are packed with protein. Just 1 cup of cooked red lentils contains approximately 17 g protein, 6 g iron, 15 g fibre. Lentils are also low in fat and rich in vitamins, minerals and antioxidants. Enjoy this soup for lunch or dinner. Add a salad, steamed vegetables and whole grain bread to make a complete light meal. Any leftover soup can be cooled and refrigerated for a few days. This soup also taste wonderful without the curry spice, so if you do not have any in your pantry just omit it. Check for and remove small stones and debris from red lentils. Place all ingredients in large pot, except salt and curry. Bring to a boil and then reduce heat. Cover and simmer until lentils are done. About 30 minutes. 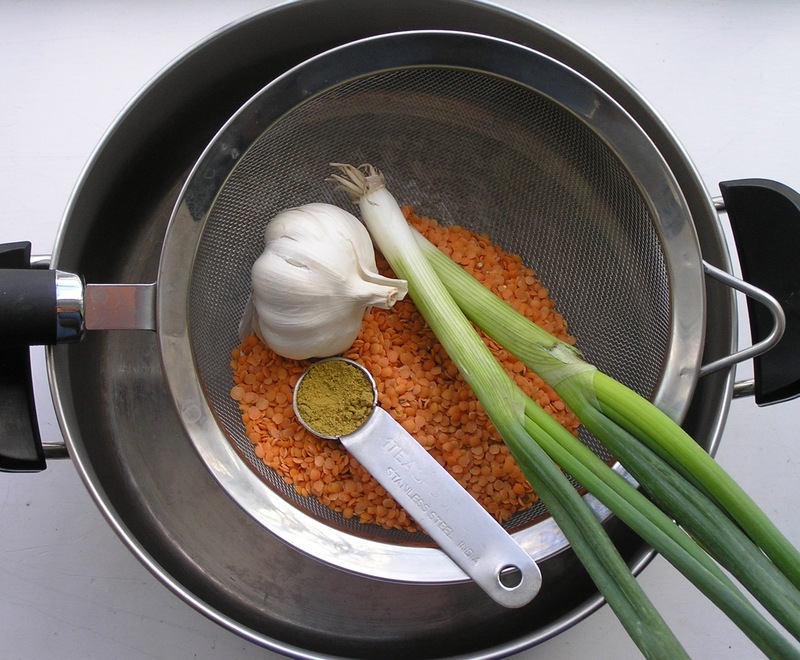 Puree with a hand blender or in small batches in a regular blender.